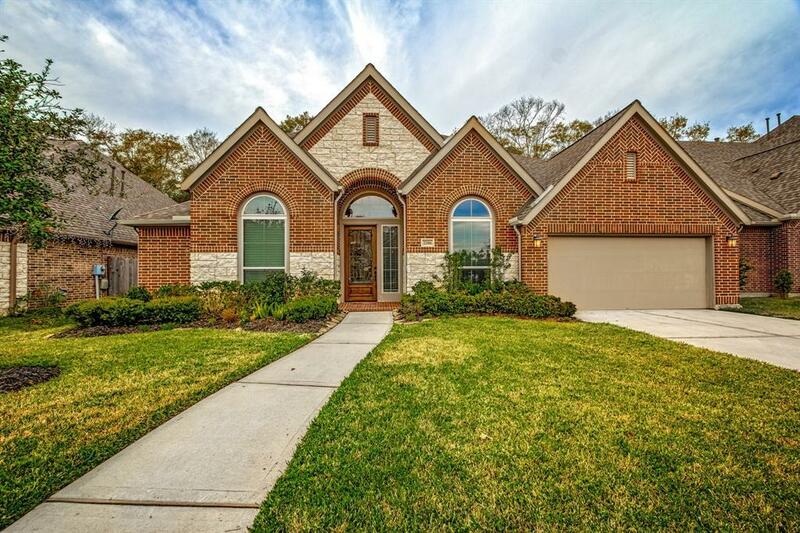 Stunning 4 bedroom/3 bath one story Perry home is move in ready! 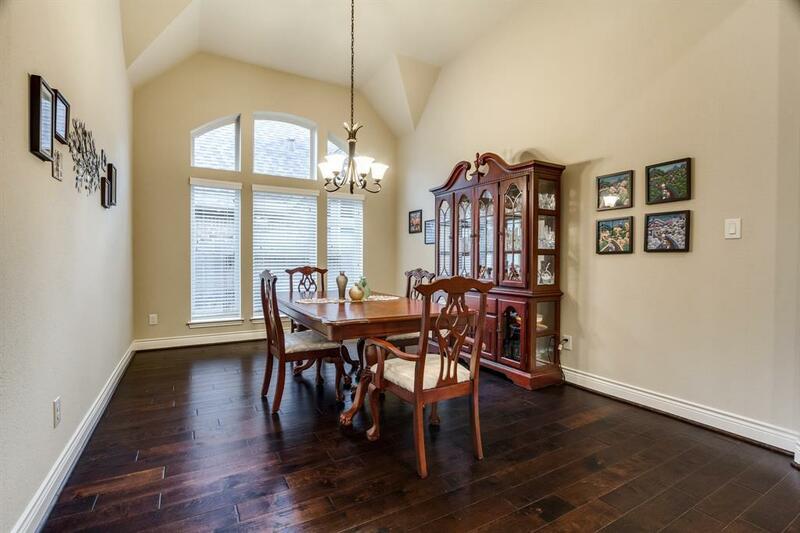 Extended entry w/ 14-ft coffered ceiling opens to formal dining room. 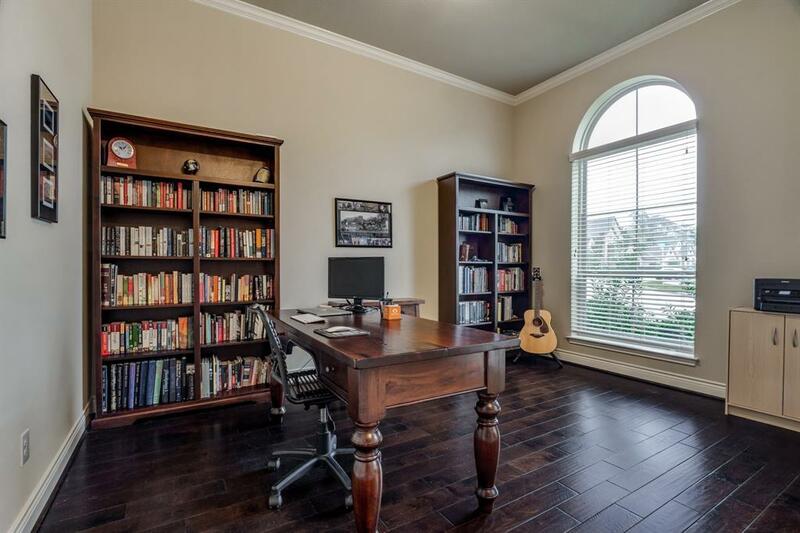 Private study is right off foyer and very quiet. Family room features amazing 12-ft ceiling and windows overlooking oversized back patio and private backyard with no back neighbors! 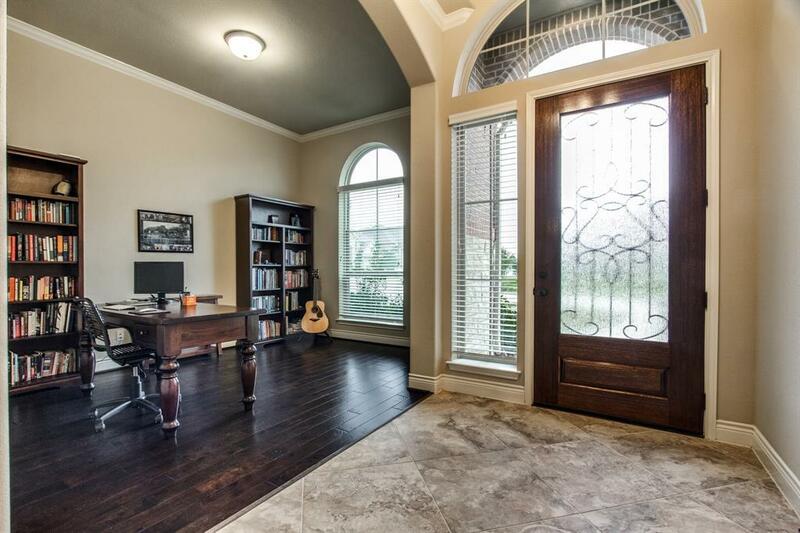 Home has wonderful layout...Morning area opens to game room w/ French doors. Kitchen is perfect for entertaining with huge island, tons of cabinet space and eat up bar w/ space for 6 barstools! Storage galore! Romantic master suite is secluded & offers stunning curved wall of windows overlooking backyard. Master bath features garden tub, separate shower, dual vanities and two walk-in closets. Split plan w/ 3 additional bedrooms and 2 private full baths. 3 car garage, window treatments, tons of upgrades. Walking distance to pool, school & quick drive to dining & shopping! Close to 59 and 99 makes this home close to everything!